Sixty-five years ago, an assembler at the machine shop M.B. Parker Co. walked into Memphis Recording Service and paid $3.98 to play guitar and sing two songs that were recorded onto a lacquer disc. That assembler was 18-year-old Elvis Presley, and this self-financed session on July 16, 1953 (more than $37 in today’s dollars), eventually led to his signing to Memphis Recording Service’s record label, Sun Records. The second song he sang was a hit for the Ink Spots in 1941, but that first song, “My Happiness,” was born in Kansas City. 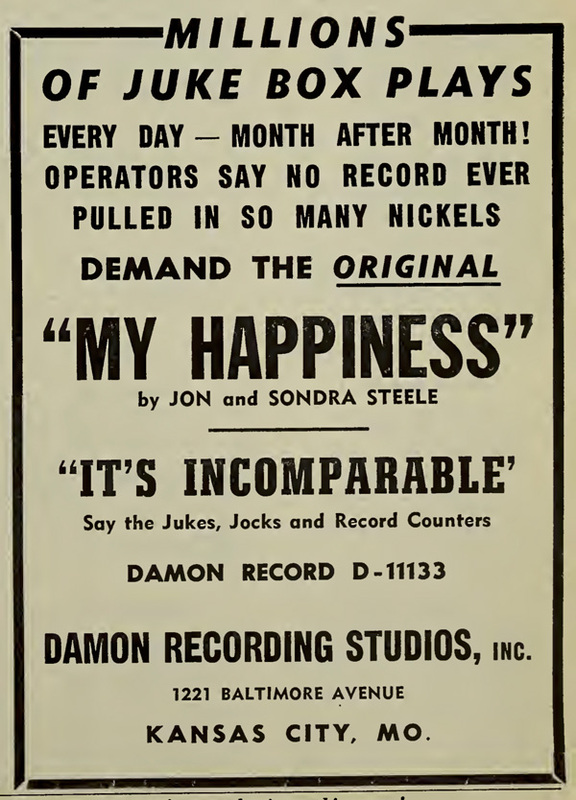 A massive hit by Jon and Sondra Steele in 1948, “My Happiness” was the first release by KC-based Damon Records. Of the many historic recordings with ties to Kansas City (mainly by performers from the area who recorded elsewhere), this may be the only record where everything was done here and by people who lived here. It was not just the label and the performer; the recording studio, songwriters, music publisher and studio musicians were all from Kansas City. “My Happiness” has been recorded more than 500 times, most recently by John and Fiona Prine in 2016. Go to YouTube and you can hear versions by such disparate artists as Fats Domino, Jim Reeves, Andy Williams, Kitty Wells and Chris Isaak. There are three “My Happiness” milestones this year. In addition to the Elvis anniversary, it is the 70th anniversary of the original recording’s improbable rise up the charts, the best-selling recording by an independent label to that date. And it’s the 60th anniversary of its best-selling version, a No. 2 hit by Connie Francis that firmly established her career after a series of chart disappointments. The story of “My Happiness” begins in the early 1930s. Local composer and bandleader Borney Bergantine wrote the music and lyrics, and used it as his closing song with his group, the Happiness Boys. Bergantine submitted the song to music publishers in the hope that it would be released, but he attracted no takers. In the Italian-American section of northeast Kansas City, Bergantine had grown up with Lou Blasco, an important figure in Kansas City’s music industry. In the 1940s Blasco led the music publishing division of Jenkins Music, the city’s top retailer. He loved the melody but felt something was missing. Lou didn’t have far to look for the lyricist. 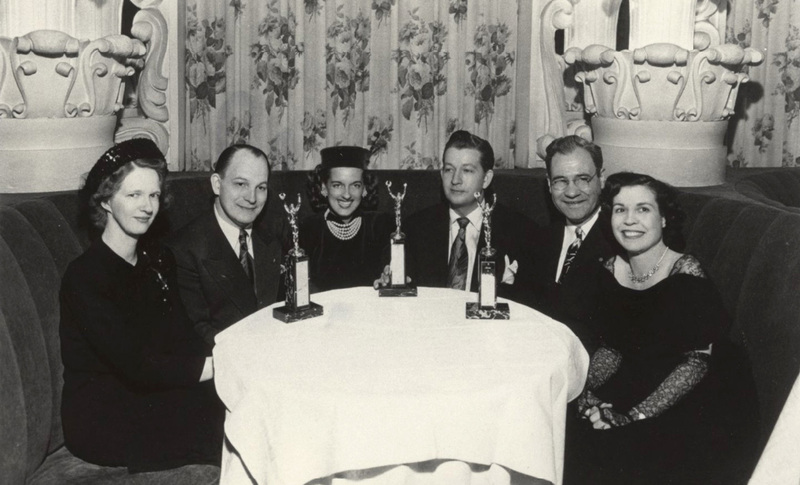 He met Betty Peterson, a secretary in the Jenkins sheet music division, and they married in 1943. After Betty wrote a humorous poem for a Christmas party, Lou encouraged her to start writing song lyrics. 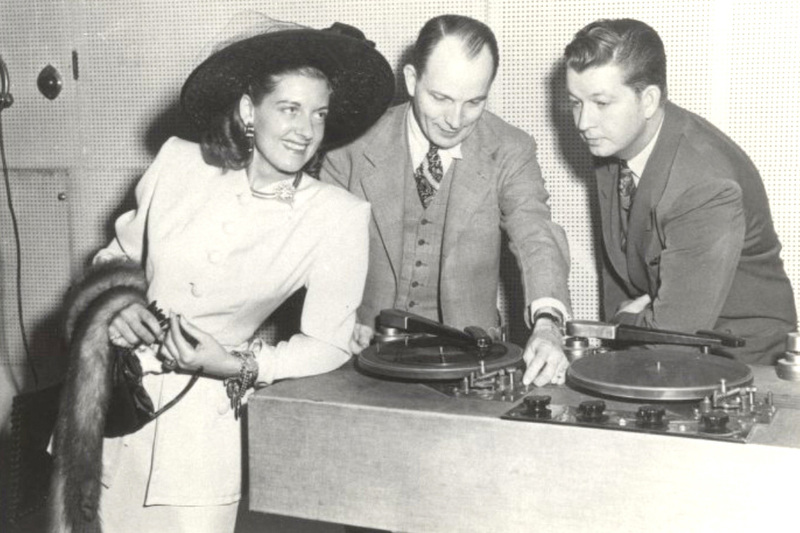 In the mid-1940s, Lou and Betty left Jenkins and formed two publishing companies, Midland Music and Blasco Music Inc. Betty wrote new lyrics to Bergantine’s melody and Lou felt the song was ready. As a music publisher, his interest was having a good recording of the song that he could shop to record labels so it could be released. As with finding a lyricist, Lou did not have to look far to find a recording studio. “My father’s good fortune was there was a recording studio in the same building his office was,” Allen Blasco says. Along with the Blascos’ businesses, Damon Recording Studios was located downtown in the Midland Building, on Baltimore Avenue between 12th and 13th streets. Owner Vic Damon was a pioneering recording engineer and had been in business since the early 1930s. Damon’s clients included advertising agencies, church groups and civic organizations, but major labels such as Capitol and Decca hired him as a recording engineer. Lou Blasco and Vic Damon chose a husband-and-wife vocal duo, Jon and Sondra Steele (Jon also played piano). They performed in lounges and society functions at country clubs, but had never recorded before. On Dec. 10, 1947, the Steeles sang “My Happiness” with Jon Steele on piano, Jim Reiser on guitar and Joe Meyers Sr. on upright bass. Having received his recording, Lou Blasco pitched the song but all the labels he contacted passed. With encouragement from Lou Blasco, Damon decided to release “My Happiness” on his own label. It was a solid hit that steadily climbed Billboard magazine charts, which measured sales, and the Cash Box magazine charts, which measured jukebox plays. The recording was not the only local success. Blasco Publishing’s sheet music sales peaked at No. 5 on Billboard’s chart. “My mother estimated that between the Steeles’ sheet music in 1948 and the Connie Francis sheet music in 1959, Blasco Publishing sold more than 2 million copies,” says Allen. In the pre-rock era, songs mattered more than the singer. Competing versions of successful songs were recorded and released almost immediately. “My Happiness” was no different. Old issues of Billboard show that as many as 10 different versions were commercially available in 1948. Though not all made the charts, the ones that did were by better-known performers, including Ella Fitzgerald and the Pied Pipers, a singing group associated with Frank Sinatra. Throughout the summer and fall of 1948, Damon advertised in both Billboard and Cash Box, emphasizing that only it had the original version. At year’s end, three versions made Billboard’s year-end chart, and the Steeles’ version led them all at No. 5. The Pied Pipers landed at No. 9 and Fitzgerald at No. 25. Although competing versions caused the same issues in the jukebox industry, “My Happiness” also prevailed. Cash Box named the song the record of the year. History does not record which version of “My Happiness” Elvis heard or preferred, but we do know through Peter Guralnick, the preeminent Presley biographer, that Presley sang it to girlfriends while he was in high school. In Presley folklore, he recorded “My Happiness” as a present to his mom. However, the family did not own a record player, her birthday was in April and Mother’s Day was two months past. Guralnick posits that Presley may have simply wanted to hear how his recorded voice sounded; paying for a demo at Memphis Recording Service may also have been a tactic to attract interest at Sun. And it worked; Presley was signed in 1954 and his first single, “That’s Alright,” was released that July. Presley’s version of “My Happiness” was not released in his lifetime. RCA Records, Presley’s label from 1955 until his death in 1977, released “My Happiness” on the 1990 compilation “Elvis: the Great Performances.” It is also available on the 2017 release, “A Boy from Tupelo: The Complete 1953-1955 Recordings.” Jack White purchased that original disc at auction in January 2015 and a special version was released on Recording Store Day that April. “My Happiness” was Damon’s greatest success. Vic Damon continued to record and release records until 1971, when he retired and sold his assets to Chuck Chapman, who continues to run a studio under his name in Lenexa. Damon died in 1974. Lou Blasco continued running his publishing companies with Betty and started a label, Cardinal, in the early 1950s. He died in 1954. Betty Peterson Blasco continued to write songs and met Elvis in the 1950s, and according to Allen Blasco, Presley picked her up and whirled her around the room. She died in 2006. Lou and Betty were inducted into the Kansas Music Hall of Fame in 2008. In addition to his musical activities, Borney Bergantine was the editor of the Italian-American Tribune, published in Kansas City. He died in 1952. Jon and Sondra Steele continued to perform and record. They eventually moved to the Los Angeles area. Jon died in 1987 and Sondra died in 1998. Dan Torchia is a writer with an interest in Kansas City music history. He was the production assistant for the 2014 documentary “The Byrd Who Flew Alone,” about songwriter Gene Clark of the Byrds, who grew up in Kansas City. He also is a musician, songwriter and union stagehand.